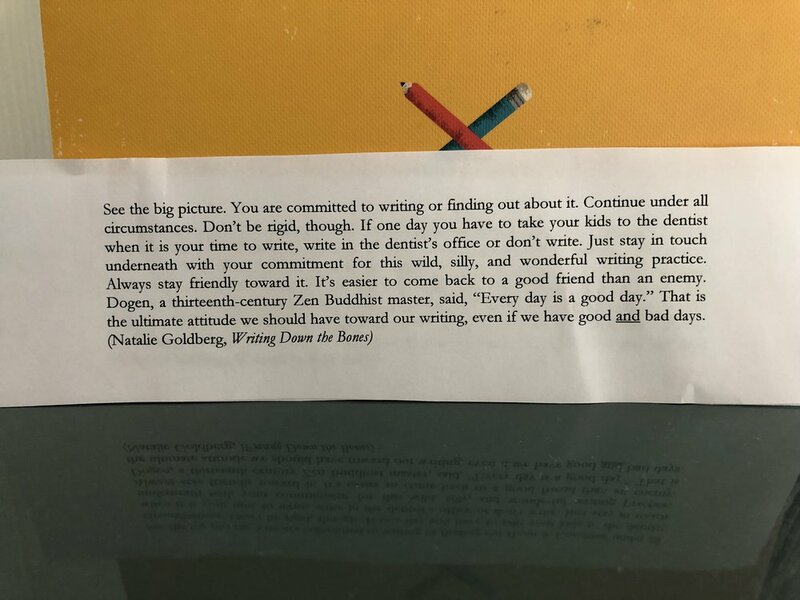 No Bad Days — Ginger writes. It was written on a dumpster, of all places. Was the person who did this laughing at the irony, or in all seriousness, trying to send a message? Could there be a more appropriate spot to make just such a point than on a beat-up dumpster in a weedy corner of a parking lot in downtown Tulsa? Something in me said Yes to this proclamation of truth. I took a picture, then walked across the street with TJ to have lunch at one of the best taco places we’ve ever eaten. We were in Tulsa for a friend’s wedding more than a year ago, but this dumpster followed me home. I didn’t know at the time that the bad days were coming for her, and I don't mean writing days. How does the dumpster message hold true? My friend’s story certainly isn’t over. She’s where she is today, and I’m here at home, trying to have a break after a full morning of homeschool, writing this final November blog post, and thinking about the good and bad in my life right now. I figured out what’s going on with my lips being cracked at the corners: a condition called angular cheilitis. I first noticed it a couple weeks ago, but finally researched it yesterday and made a plan for how to deal with it. 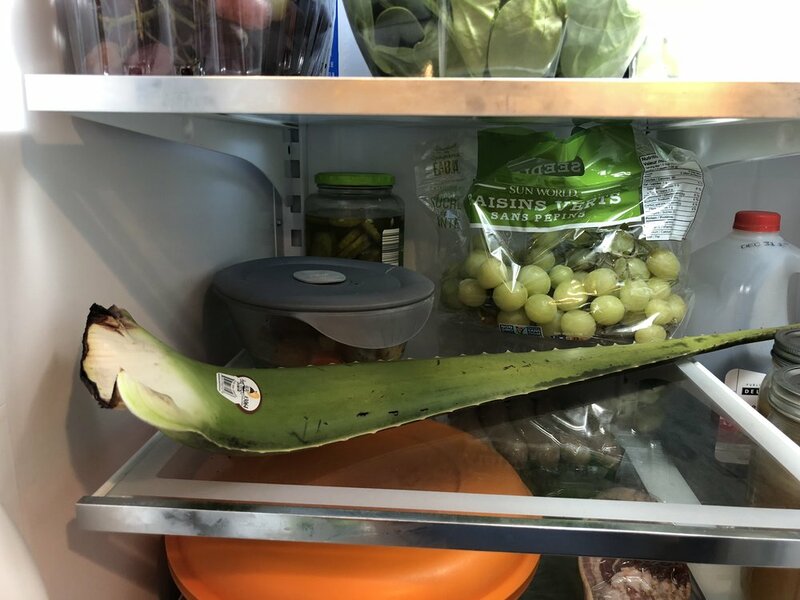 It includes this aloe vera leaf that TJ got at Whole Foods this morning, along with baking soda, a caprylic acid supplement, castor oil, tea tree oil, and petroleum jelly. So there’s that, and no sunshine today, and knowing my friend’s heaviness, plus the needs of other friends, and the dark that comes so early now. But there was a letter in my mailbox this afternoon, and we have a Christmas tree to light up our nights, and I kept my November writing goal, and we have a weekend to rest, and I know my friend is loved and prayed for by so many. Evidently, Advent and the Dumpster agree.